The deal gives Flipkart a stronger hold in the fast-growing online fashion business in India. Marking the biggest consolidation in the e-commerce space in India, homegrown e-retailer Flipkart has acquired online fashion retailer Myntra in an estimated Rs 2,000 crore deal. While the companies did not disclose the deal size, sources suggest the deal could be worth about Rs 2,000 crore. “It is a 100 per cent acquisition and going forward, we have big plans in this segment. Flipkart and Myntra are getting together to create one of the largest e-commerce stories and together we will dominate the market,” Flipkart co-founder and CEO Sachin Bansal told reporters here. Asked about valuation, the companies declined to comment. “We, at Flipkart, believe that we want to be leaders in every segment and fashion is a category of the future, this acquisition will help us become leaders in this category,” he said. Sachin said Flipkart will invest USD 100 million (around Rs 600 crore) in its fashion business in the near-term. Flipkart, which started in 2007 as an online bookstore, sells products across categories, including fashion and electronics. It also sells white goods and furniture. The move is expected to help Flipkart strengthen its apparel portfolio and compete more aggressively with peers like Amazon and Snapdeal. Myntra will continue to operate as a separate entity with its co-founder and CEO Mukesh Bansal joining Flipkart board and heading the fashion business. “It was very essential to keep Myntra a separate entity and preserve its culture. I’m here for the long haul and we will continue to grow in the market,” Mukesh Bansal said. India’s e-commerce market has seen huge growth in the past few years as more people log on to the Internet to shop. While apparel and electronics are bestsellers for most e-commerce firms, categories such as home decor and household items are also popular. The industry, estimated to be worth about USD 3 billion currently, has firms such as Snapdeal, eBay and Amazon which follow the marketplace model. 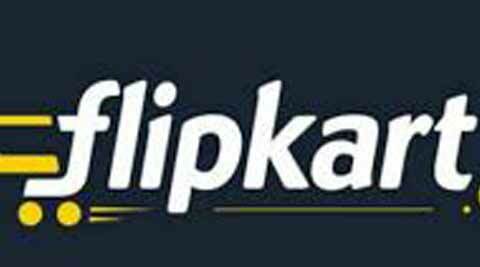 Led by increasing Internet penetration and youngsters shopping online, Flipkart’s annualised sales crossed USD 1 billion (over Rs 6,100 crore) a year ahead of target. It had estimated to reach the billion dollar mark for gross merchandise value by 2015. Flipkart, which also operates under the marketplace model allowing retailers to offer products on its platform, has since its inception raised over USD 500 million from investors. The Bangalore-based firm, founded by Sachin Bansal and Binny Bansal, counts Naspers, Tiger Global, Accel Partners, Dragoneer, Morgan Stanley, Sofina and Vulcan Capital among its investors.